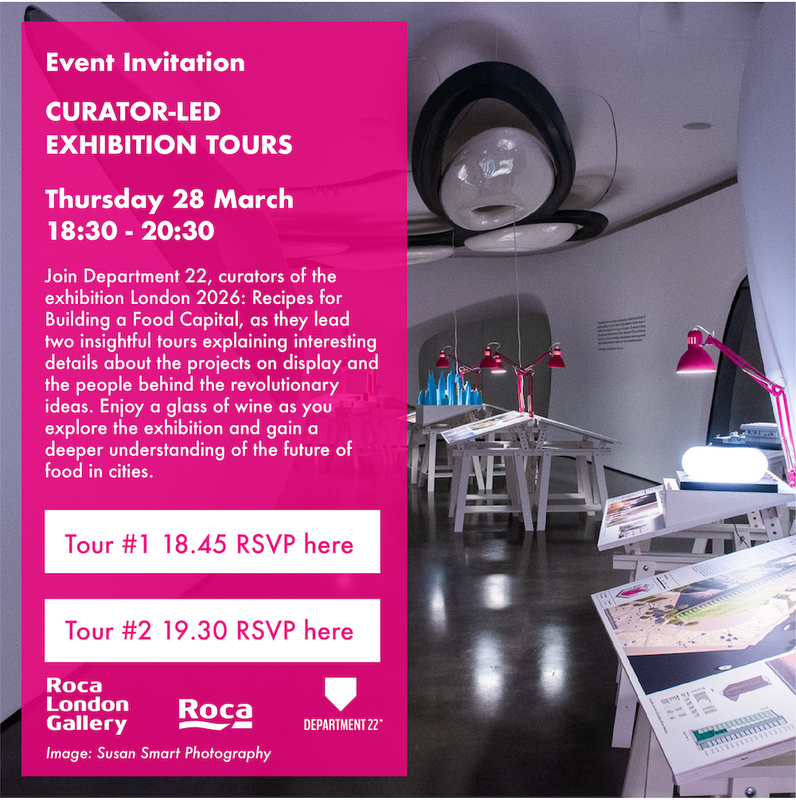 On the evening of Thursday 28th March Roca London Gallery are hosting two curator led tours around their current exhibition ‘London 2026: Recipes for Building a Food Capital’. You can enjoy a glass of wine as Department 22, the curators of the exhibition, lead the tours during which they will explain interesting details about the projects on display and the people behind the revolutionary ideas. Thursday 28th March at Roca London Gallery, Station Court, Townmead Road, London, SW6 2PY. Tour 1 – 18.45 – please RSVP here. Tour 2 – 19.30 – please RSVP here.